The bombing of data on the possible launch of a smart watch by Apple continues. All international media have their machinery working on publishing information regarding the iWatch that, according to Bloomberg, could come as early as this year. The article also discusses some of the features that have the clock and have been provided by sources close to Apple. First, the clock will allow users to make calls or see the identity of the person who calls. For athletes, the iWatch incorporate your own pedometer and sensors that monitor our body data as keystrokes. Moreover, The Verge has published another article on the future of Apple clock. In this way we can read that iOS is the operating system of life to iWatch. As for his appearance, Jonathan Ive leads a team of 100 engineers working on the design of the watch. As you may be thinking, a device so small and with so many features in permanent operation must have a tiny battery. According to The Verge, the Apple smart watch would be capable of a range of around four or five days, a figure that falls far short of the two days that offer the first prototypes of the iWatch. I recently learned that Apple is working to expand into new markets . Is 2013 the year of the iWatch, an Apple TV or both products? 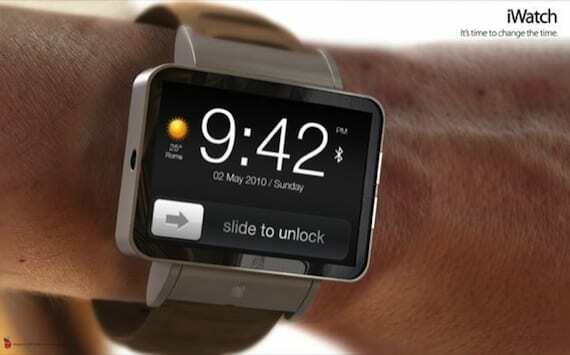 The article was published details of how it could be the Apple iWatch was originally posted in News iPhone .